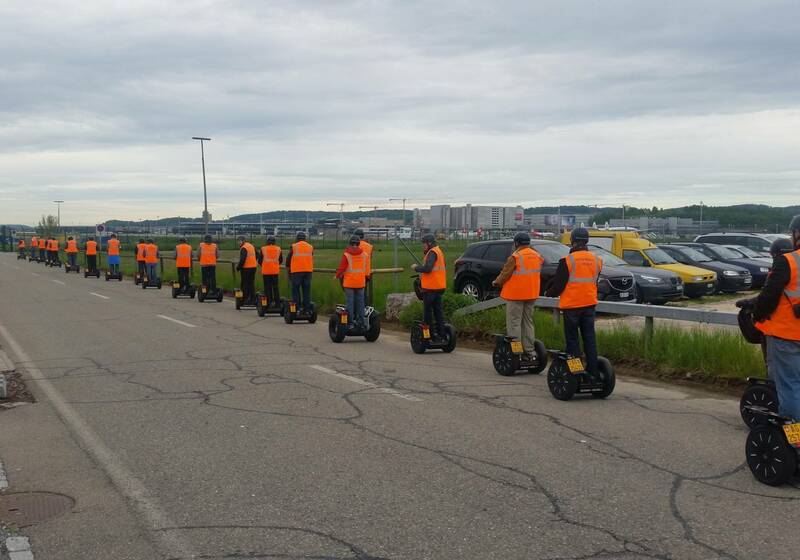 Explore with the Segways the area arround the Zurich Airport. 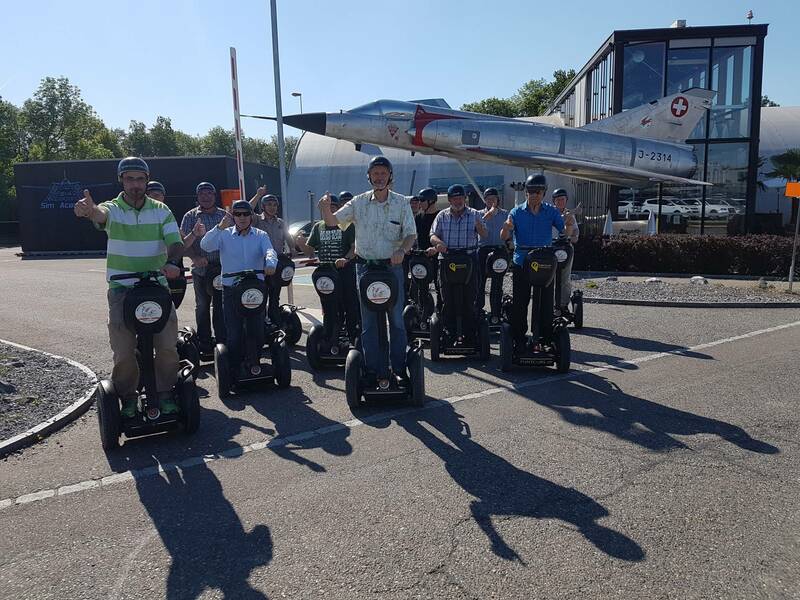 Group size: This tour is available for closed groups only, minimum is 6, maximum is 14 persons. 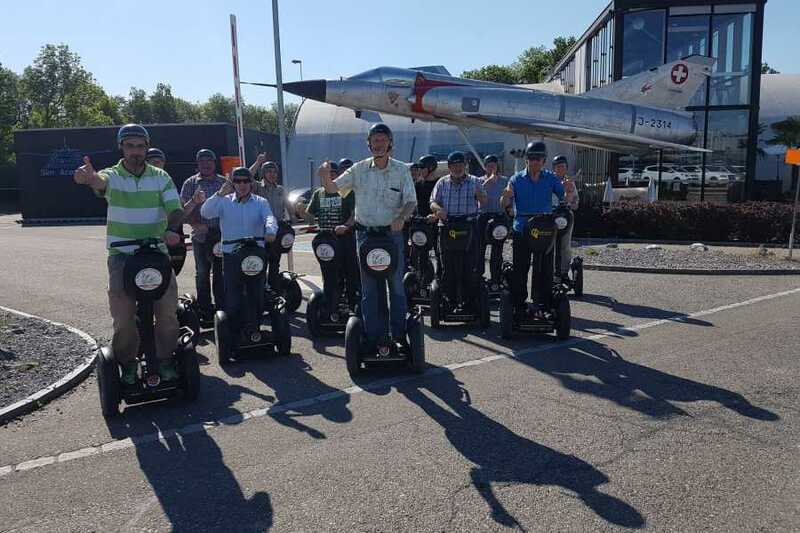 Larger groups are possible but please ask us for a quote and availability by phone or email. You will receive our offer immediately. 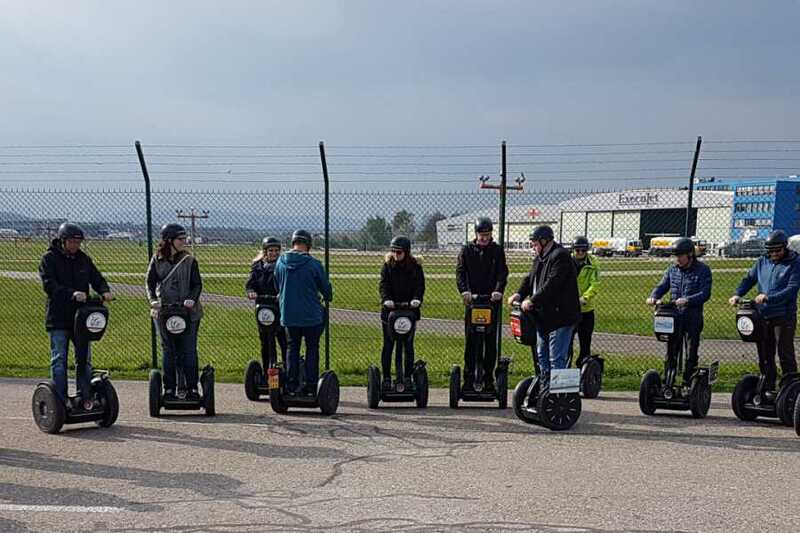 Before departure, the Tour Guide informs you about the Segway driving technique. 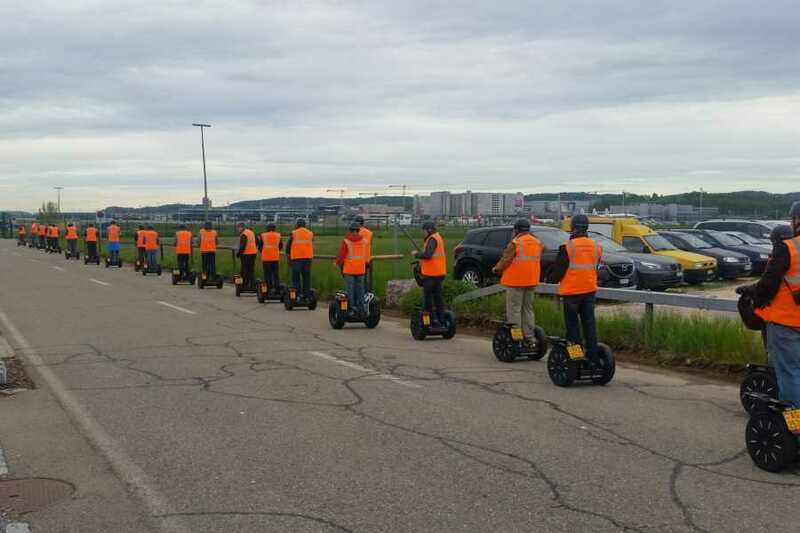 Then a practical driving training takes place on a parking lot held by experienced instructors.